This post was updated on April 30, 2018. While there are numerous ways to be noticed on the Internet, the best way to get the right online awareness has always been Google. This is because Google’s wide-reaching virtual arm is an opportunity for people to find you on the Internet even as you work on your local SEO, especially through the business profiling free service. My Business is a Google service for local businesses that want to be found in the offline world. It is a culmination of Google Places, connected with your Google+ profile and Google Maps. 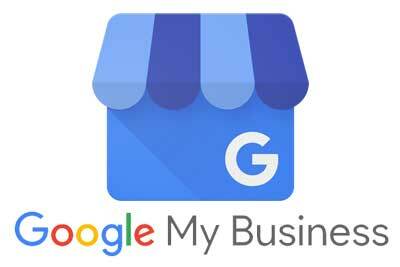 Launched in 2012 under the name of Google + Local, the service was renamed in 2014 to become what everyone knows today as Google My Business. The service is a listing of companies in a location that can be found easily in the real world using the city’s name, physical address, and ZIP code or even via geographical coordinates. Here, you can provide details about your line of work, working hours, contacts, website and many others. In addition, your happy clients have the option of leaving a review on the business profile and helping potential clients on whether to purchase or hire your products. Google + is Google’s response to Facebook. While this social network branch of Google has not caught on as intended, Google came up with a new concept after its redesign. Instead of focusing on individual profiles, Google decided to focus on individual core strengths through Collections and Communities. Collections are those posts grouped by content or public groups of people that share a common interest. To understand the difference between Google My Business and Plus, imagine your business as a fancy birthday party. My Business is all about letting people know about your upcoming party as well as offering directions to the venue. Google Plus is the actual party and the subjects people talk about once they get there. In short, My Business is a dashboard that allows you to see all types of information related to how to locate your business offline, while Plus is the social network that allows you to closely connect with your online visitors. In Google, local business categories are those terms used to describe what type of business you run. Every time you create a My Business listing, you are given up to 10 categories from a pre-set list to categorize the business. Failure to do this properly may have a profound negative effect on your business’ ability to rank on Google’s results. Correct categorization is so critical that Google has a whole section devoted to explaining how categories can work for you. In general, the categories you choose should be as specific as possible, do not use them as keywords and use as few terms as possible to describe your core business. The standard claiming method of your listing is through address ownership verification by requesting a postcard via mail. The postcard usually arrives in about 5 business days and it contains a PIN number that you need to use on your profile dashboard. The claim is verified by Google and you get full access to manage the business listing information. If your business already exists on Google Maps, claiming it is easy. As long as the listing is marked with “Own this business?” link, you are in luck. Click the link, and it will allow you to verify the code sent through text or phone, in addition to the postcard, allowing you to skip the wait time and claim the listing immediately. At WebTech, we understand the importance of having your business listed in the local online marketplace. We will work with Google to ensure your profile is complete, accurate and up-to-date. We’ll also complete profiles for your business on over a hundred online directories such as Manta, YellowPages.com, Bing, Google+, Yahoo Local Business Listings, Yelp and more. Contact us today to find out more about our local SEO services. Kevin is WebTech’s go-to guy for all things marketing and designing and building websites. From joining the team in late 2008, Kevin continuously works with clients on setting up marketing strategies and then assisting the team to help turn those ideas into reality.